I hope you are having a good week. 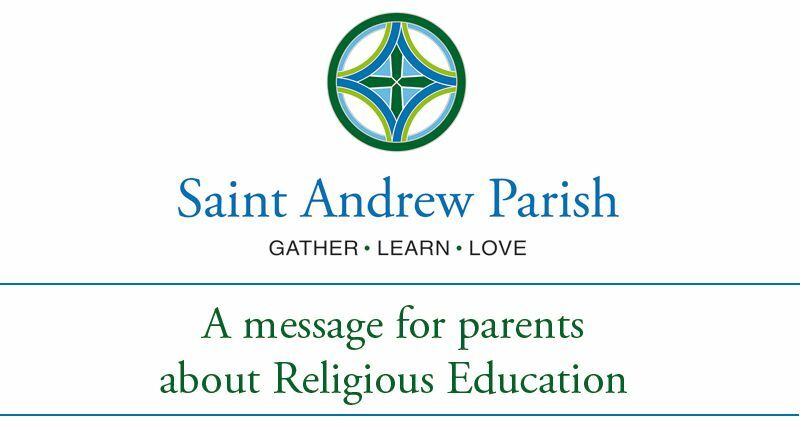 We’ve started our “Spring Break” for religious education as we know many of you will be on Spring Break either this week or the next. As such, I’ve put the links for chapter 20 & 25 below, but if you’ve already completed them there is no concern to do them this week. Enjoy your break! Have fun and have very Happy Easter! For those staying at home, we’d like to make you aware of a unique opportunity. 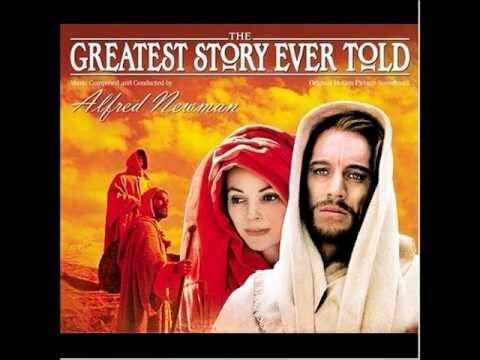 We are going to have a showing of “The Greatest Story Ever Told” on Sunday, April 14, 2019 at 6:30pm in the auditorium. This classic movie from 1965 was directed by George Stevens and shares the story of the life of Jesus. Coming to see this movie an ideal way to start Holy Week and is appropriate for adults and children. (We’ll have an intermission after 90 minutes. We only recommend the second half for teens and adults.) We’ll have the popcorn and invite you to share any additional snacks. If you are traveling, have safe travels and a wonderful Easter! 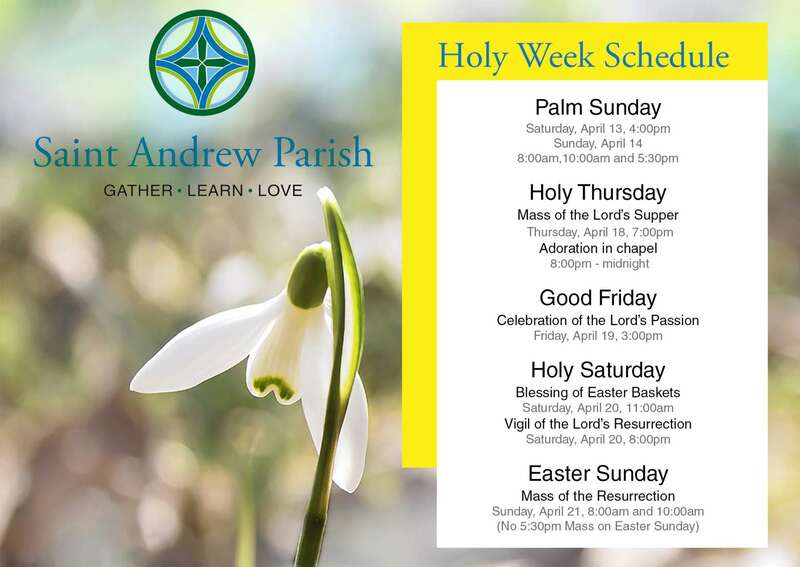 If you are with us through the Easter holiday, we hope to see you for some of the services of Holy Week and Easter which can be found in the schedule below. You may have noticed this week that I gave both chapters 20 & 25 in the at-home packets this week. 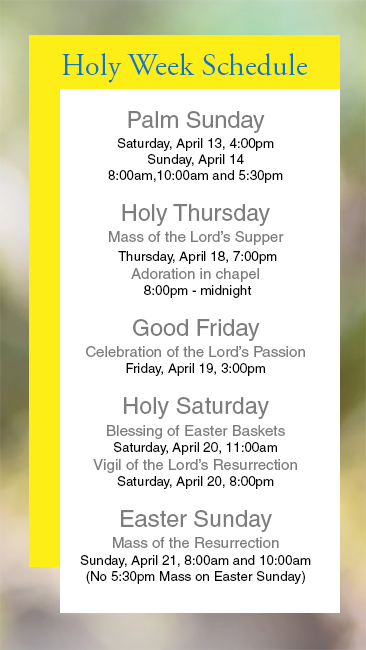 That is because I feel Lent and Easter are both important topics to go over at home. While chapter 20 was reviewed in class on Sunday, if your child would like to do chapter either chapter 20 or 25 or would like to do both, I’ll count any extra completed online review as a substitute for a previously missed class or at-home session.